Bobby arrived in our stable at the end of the 2009 season. Until then he had really only been a jumping horse. He jumped carefully and with good technique. 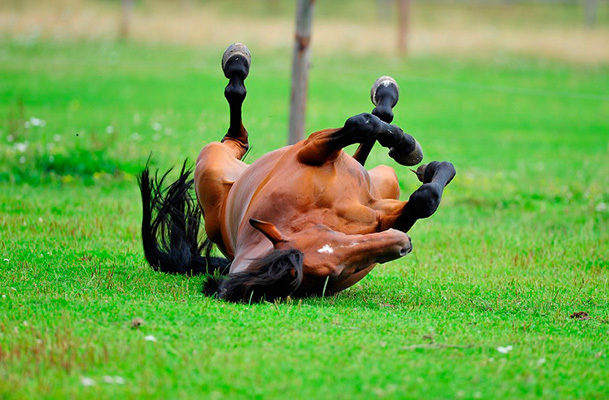 He is a quiet and relaxed fellow in the stable. In training he is very sure of himself and will now and then make the most of having a little buck when he feels good. With his easy and economical gallop along with his courageous attitude and his jumping ability he has everything to become a good eventer. Bobby started his first eventing season as a 6 year old. He collected lots of valuable experience in smaller competitions. He was in the final at the Bundeschampionate and even placed in a CIC*. He then backed this up with good placings in CIC** competitions. 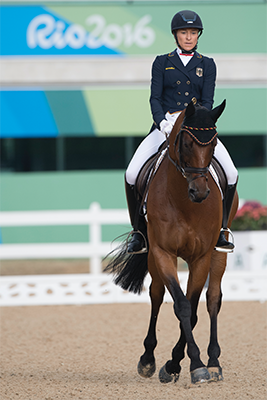 He ended the 2011 season by taking part in the World Young Event Horse championships in Le lion d’Angers in France. In 2012 we won the Westfalen Masters in Velen. Further Bobby won the Indoor Derby at the German Masters in Stuttgart. In the 2013 season he started to get serious and showed he was comfortable at ***. He is always fast across country as he loses no time at the fences. At the CCI*** in Boekolo he showed us he has the stamina for longer courses. In the 2014 season he showed what he is capable of by winning the very tough CCI**** in Pau, also my first 4 * win- a phenomenal experience. 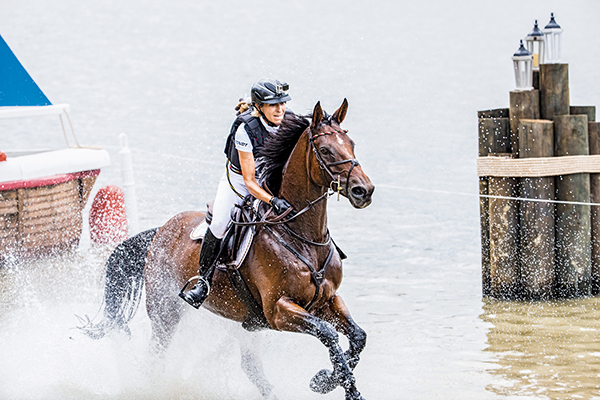 In 2015 Bobby was constantly in second place: CCI**** Badminton, CIC*** Luhmühlen and CICIO*** Aachen. But then he showed us what he is made of at the European Masters in Blair Castle and won with the Team. In 2016 Bobby showed us what he can do by winning a CIC3*. In Luhmühlen we were German Reserve Master and in Aachen a good result for our last outing before Rio. The Olympic Games in Rio was an amazing and special highlight. After a nice dressage test and a cross country round that started beautifully, unfortunately we had a run out at the last water. However, following a lovely clear round show jumping, we won team silver. Bobby came out of the winter fit and motivated in 2017 and conquered the absolutely gigantic Badminton CCI**** cross country course. He showed his top form in Aachen as well, winning the CISCO***. At the European championships in Strzegom he performed incredibly, coming home as individual European champions! In 2018 Bobby won the Event Rider Masters CIC*** competition in Wiesbaden and was reserve Champion at the German Championships in Luhmühlen. At the World Games in Tryon, USA he gave me a fantastic cross country ride that I will never forget. Taking a rail at the last jump meant no gold but instead we came home with the individual bronze medal. Horseware Hale Bob 2017 at the CHIO in Aachen. Horseware Hale Bob 2014 at the CHIO in Aachen. Our cross country ride documented by SAP with a helmet cam. 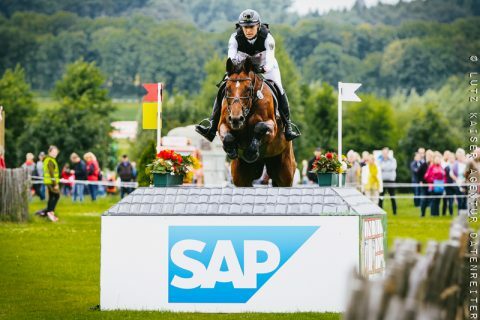 Our cross country ride dokumentented by SAP with a helmet cam.